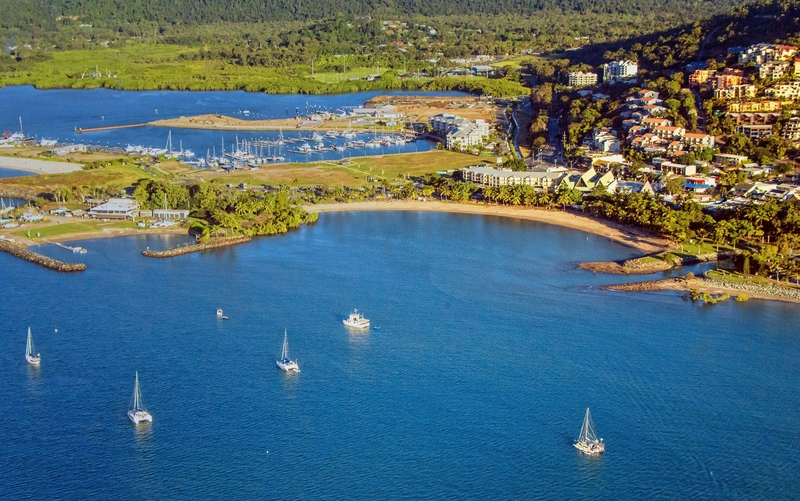 Just like Western Australia, the Northern Territory's property markets continue to rack up large losses. While the near-term prospect remains grim, the long-term outlook is brighter for investors. Population growth has slowed so far that it is now the weakest in the nation (0.3% in 2015). Median house price to fall by 2% over three years to June 2019, resulting in a 9% drop in real terms. Median unit price to fall by 4% or a 12% drop in real terms over the same period. What's in store for investors in Darwin? Just like Perth, investors in Darwin are still facing grim prospects in terms of property price growth. CoreLogic RP Data July quarter stats show that Darwin and Perth were the only two capital cities to suffer a decline in median dwelling values since the start of the year. Darwin median house values fell 5.1% over the three months ending July while median unit price dropped a whopping 14% over the same period. "Housing market conditions in both Perth and Darwin are suffering from reduced housing demand resulting from a sharp downturn in migration and weaker employment opportunities,” says Tim Lawless research director, Asia Pacific for CoreLogic RP Data. "Rental rates have also fallen substantially in both cities, highlighting that lower housing demand is not confined to home buyers but also renters." Domain’s data showed Darwin’s median house falling for the fourth consecutive quarter, with a total of 7.7% drop over the past year. This is the weakest result for the capital since December 2011, and the sharpest decrease out of all the capital cities according to Andrew Wilson, chief economist with Domain. “Darwin prices have continued to decrease as demand from resource industry workers dwindles in line with the downturn in the mining economy. We have yet to see an impact from the new supply of apartment buildings on the market and, for now, unit prices are steady,” Wilson says. But it's not all bad news according to Deloitte Access Economics. It points out that although the Territory’s economy is slowing, so far that slowdown has been relatively measured. The Northern Territory is also benefiting from the lower Australian dollar which is good for tourism, for agribusiness, and it’s even good for the miners. At the same time, Deloitte notes that the Federal government is also looking to boost the levels of Defence spending, which means that the Territory is a clear beneficiary. "Northern Territory can be expected to increase its share of the national economy over the next few years, even as its share of the national population remains relatively unchanged. That is because the Northern Territory’s LNG exports will rise significantly as the Ichthys project reaches completion and moves into its production phase," says Deloitte in a report. Darwin rents have fallen to their lowest level in more than five years, with unit rents falling to $440 per week and house rents down to $550 per week according to Domain. Darwin median rents have declined sharply over the year, with units falling by 12% and houses by 8.3% — the most significant decrease in the country. On the bright side, house vacancy rates continued to tighten, falling to 2.1%. However, the vacancy rate for units rose to 4.4%. "Darwin rents continue to fall at the fastest rate of any capital city. However, the tightening house vacancy rates could act to steady the recent declines," says Wilson. Angie Zigomanis, senior analyst with BIS Shrapnel points out that there was a substantial increase in new dwelling activity in response to population growth and price growth during the boom period that peaked in 2014. “With migration flows now slowing while dwelling completions continue to increase, the Northern Territory market is moving into oversupply, and this is being reflected in Darwin’s vacancy rate rising above 8% in 2015,” says Zigomanis. NT also recorded the slowest annual population growth in the country, gaining just 0.35% on a year ago and down almost 80% on the decade average – the weakest in the nation. Slow population growth and strong new home construction are expected to dampen further growth in Darwin. Prices are forecast to weaken further as the investment phase of the Ichthys project winds down according to Zigomanis. As such, median house price is forecast to fall by a total 2% in the three years to June 2019, or a drop of 9% in real terms. With much of the new dwelling supply being in the unit sector, median unit prices are forecast to fall by 4% over the same period, or a real decline of 12% according to Zigomanis.